Gemma has had two babies, the last in 2016, both being 8lbs or more. A women’s health physiotherapist in one of Bristol’s maternity hospitals recommended she attend a postnatal focused group. 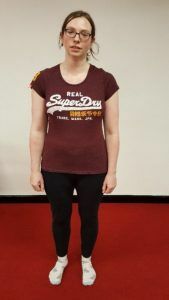 When Gemma first joined the class, we agreed she still had a diversification (diastasis recti / abdominal separation) of 4cm, and that her mid line was still quite soft. 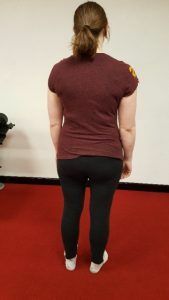 The focus of the group is to try to teach better connection to the deep abdominal muscles and pelvic floor function as well looking at how we can transfer this into everyday activities. During her one-to-one sessions we really honed in on increasing the strength and control of her abdominals. 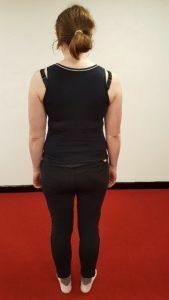 We also worked to improve her posture and the mobility of her spine as Gemma had suffered with recurrent low back pain for some time and was seeing an osteopath regularly. 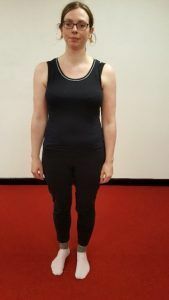 Gemma has seen a big increase in the strength and tone of her abdominals and feels much more connected to them along with her pelvic floor. There has also been a decrease in her separation now measuring around 1cm and a much-improved tension along the middle (linea alba). 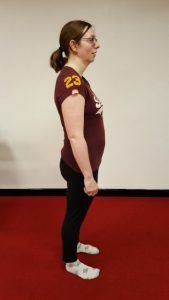 She has also improved her breathing and this has helped with the improvement of her abdominal connection. Gemma’s low back pain has now pretty much stopped and only has occasional feelings of stiffness. This has been due to her making a conscious effort to sit better at her desk and an improvement to her overall posture. 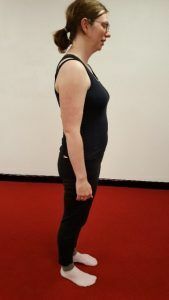 Not only that but her yoga practice has improved and she is feeling much stronger in the poses, particularly those with balance elements to them.